Congratulations on becoming a Certified Facilitator! It is so exciting to witness more and more CIC Alumni growing and prospering within your own Image Consulting business! Please review the following terms of agreement prior to submitting your payment. Once you have signed up, a formal contract requiring signatures will be sent to you. I will continue to support and pray for your success! ● Level One - $2000 offers you to train no less than 1 and up to 5 other employees under your business name. As the Certified Facilitator, you must be present when watching FMF videos. ● Videos offered on the CIC library are not permitted to be downloaded or shared. ● Passwords to the CIC library cannot be shared. ● For each trainee, a form with the candidate's name, address, email address, and other pertinent information must be forward to Shari Braendel, CEO and President of Fashion Meets Faith prior to training. 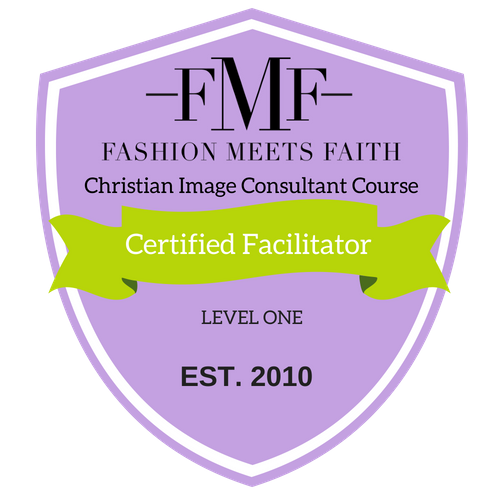 ● In order to qualify as a Fashion Meets Faith Certified Facilitator, you must display the CIC Alumni badge AND the FMF Certified Facilitator Badge on your website. ● They are certified by you, the CIC Alumni. You are able to create your own logo, call the trainee whatever professional title you would like with the exception of Christian Image Consultant or CIC. They are not considered CIC Alumni. ● The trainee cannot call themselves a Certified CIC Alumni. ● The trainee is not part of the CIC Alumni Facebook group, monthly CIC Alumni calls, or CIC Alumni Retreats. ● If the trainee would like to pursue the entire CIC Academy to become an official CIC Alumni, they will be required to pay the full tuition fee and participate along with the other students. A great way to grow your Christian Image Consulting Business! 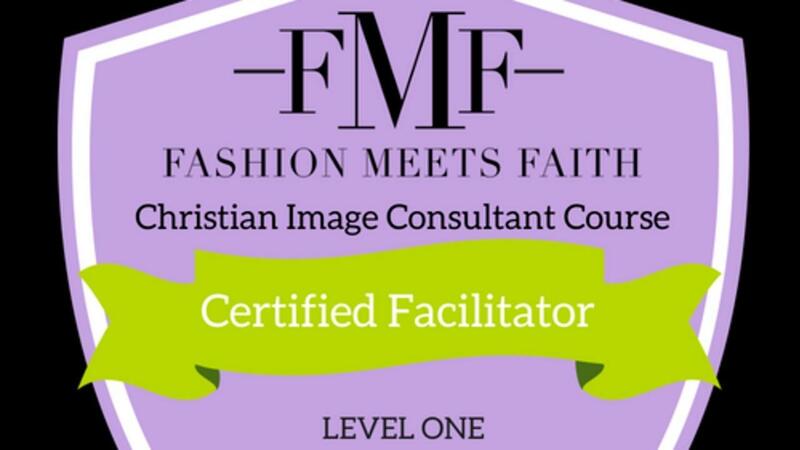 Train up to 5 people with the Level One Fashion Meets Faith Certified Facilitator.